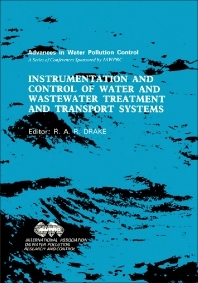 Instrumentation and Control of Water and Wastewater Treatment and Transport Systems contains the proceedings of the International Association on Water Pollution Research and Control (IAWPRC) Workshop on Instrumentation and Control of Water and Wastewater Treatment and Transport Systems held in Houston, Texas and Denver, Colorado, from April 27 to May 4, 1985. The papers explore advances in instrumentation and control of water and wastewater treatment and transport systems. This book consists of 122 chapters divided into 18 sections and opens with a brief description of the IAWPRC Study Group on ""Instrumentation for On-line Measurement"". The discussion then turns to the instrumentation, control, and automation initiatives in various countries such as Germany, Japan, and the UK. The following chapters focus on instrument testing, data acquisition and transmission, and monitoring and control of water transport systems and water treatment plants. Distribution network control for water supply systems is considered, along with telemetry control systems and integrated data systems. The final chapter describes an automatic measuring device which uses a computer and image processing technology for measuring the length of filamentous microorganisms in activated sludge. This monograph will be a useful resource for engineers and those concerned with water pollution control. State of Automation at Wastewater Treatment Plants in the F.R.G.